The Palm Jumeirah Tram Station is one of five Dubai Tram stations on Al Sufouh Road in Al Sufouh. It is located at the northern end of Dubai Media City, a tax free zone home to global and regional media organisations. Hotels in the area include Arabian Court at One & Only Royal Mirage and the Residence & Spa at One & Only Royal Mirage. 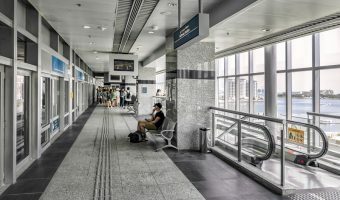 The station is also connected by a walkway to the Gateway Station of the Palm Jumeirah Monorail, providing a much needed link between the Palm Jumeirah and Dubai’s public transport network. Map showing location of Palm Jumeirah Tram Station. 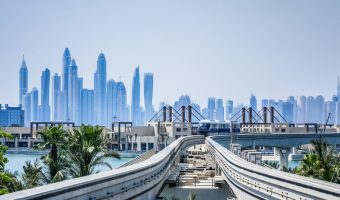 Station on the Palm Jumeirah Monorail.